Rumor has it that Apple is looking to bring its store-in-a-store concept to the Sam's Club chain, adding to the joint ventures it already has with Best Buy and Target. Just last month Apple announced that it was bringing its store-in-a-store concept to 25 Target locations, following in the foot steps of the successful launch it had with the Best Buy chain. 9to5Mac is now reporting that Apple is in early negotiations to do the same with Sam's Club, the wholesale club division of the omnipresent Walmart brand. Due to how early in the talks the two companies are, there is no known timeframe as of yet as to when this could come to fruition. Reportedly there is also a fall back plan should the talk fall through that would just see the clubs expand their existing product mix of iPhones, iPads and iPods to include Mac computers as well. This would be another big step for Apple as it tries to get its products in front of even more people, but as anyone who has ever been in a Sam's Club could probably tell you, the current Apple store-in-store displays would definitely stick out like a sore thumb. If you've seen them in Best Buy locations around the country, you know they follow a similar design atheistic to the Apple Stores with blonde wood tables and acrylic info sheet displays. 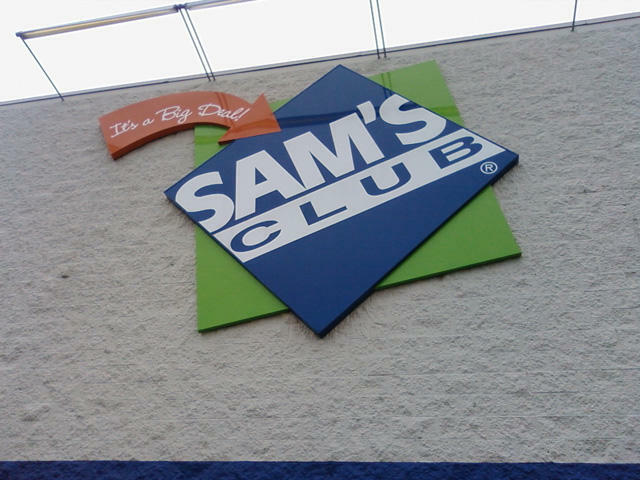 Sam's Clubs, like any other wholesale club chain, is built around bare metal risers, pallets of dog food and flat bed carts so you can pick up cases of products at a time. While they do currently sell Windows-based computers, they are typically the type companies like HP produce a few thousand of and are geared more towards business users than consumers. There is no word if this deal could potentially extend to the Sam's Club parent company, Walmart, but this would definitely be a way of getting their foot deeper in the door with the nation's largest retail chain.